El Paso, Texas (Telefutura Solo Boxeo)– Antonio Escalante (23-2, 15 KOs) avoided the drama of his last win, February’s Fight of the Year candidate over Miguel Roman, by ealking right through veteran. Edel Ruiz (31-23-5, 20 KOs). The “kill blow” was a perfectly placed liver shot in the second. The bout was officially waved off at 1:52 of round number two. On the televised undercard, Alex Becerra (20-8, 9 KOs) won an easy unanimous decision over Francisco Dominguez (8-7, 2 KOs). Scores were 60-53 all around. Dominguez was deducted a point for throwing an elbow in round four. Hinckley, Minnestoa (Showtime ShoBox)– Top prospect, Chris Avalos (16-1, 13 KOs) was upset by “The San Diego Kid” Chris Martin (19-0-2, 5 KOs) via split decision in a ten round contest. Avalos came in strong and confident, but was simply outboxed by the deceptively slick Martin. Judges scores were 98-92, 97-93 for Martin and 98-94 for Avalos. The Boxing Tribune scored the bout 97-93 for Martin. In the televised opener, Freddie Roach pupil, Lateef Kayode (13-0, 12 KOs) stopped Alfredo Escalera, Jr. (18-3-1, 12 KOs) at the end of round eight. Despite a decent first round for the second-generation Puerto Rican fighter, Kayode was simply too strong and sharp for Escalera, eventually grinding him down and stopping him. 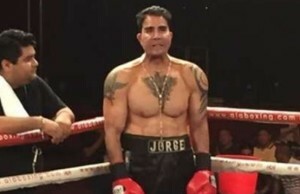 The official end was listed as a TKO at :01 of the ninth, but it was actually stopped by Escalera’s corner between the eight and ninth after their fighter had been buzzed at the end of the round. On an untelevised heavyweight feature, Maurice “Sugar Moe” Harris (24-14-2, 10 KOs) puncuated his comeback by beating Nagy Aguilera (16-4, 11 KOs) via unanimous decision. Judges’ scorecards were: 117-111, 117-111, 115-113. 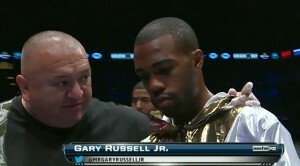 Harris claimed the vacant USBA belt. 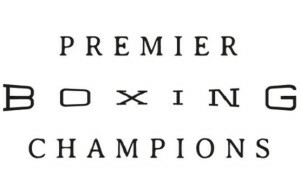 Chicago, Illionois (ESPN2, Friday Night Fights)– Breidis Prescott (23-2, 19 KOs) cruised to an easy, very unexceptional 10-round unanimous decision over Harrison Cuello (19-13-3, 14 KOs). Judges’ scores were 98-91, 99-90, 99-90. The Boxing Tribune also had it scored a near shut-out, 99-90. On the undercard, Patrick Lopez (20-2, 12 KOs) beat previously undefeated, Prenice Brewer (15-1-1, 6 KOs), via TKO 2.